Ali graduated from the Chiropody program held at the Michener Institute for Applied Health Sciences in 2005, and has been in private practice ever since. He has a special interest in sports related injuries, orthotic therapy, and the diabetic foot. Ali is a proud resident of Pickering, and enjoys working, and giving back to the community. Ali is also the Chiropodist for the GoodLife Toronto Marathon and is an integral part of the medical team at the finish line. Ali is the proud owner of Pickering Foot Clinic. He strives to deliver the best care possible to the patient. He is constantly updating his knowledge of the latest trends, and technology. Brooke Mitchell is a duly registered and licensed Chiropodist (foot specialist) in the Province of Ontario. She graduated with a honours degree in Health Sciences (kinesiology stream) from the University of Ontario Institute of Technology. Knowing from the beginning of her studies that her interest was specifically in foot health, she attended the Michener Institute of Education at the University Health Network and graduated from the Chiropody program in 2017. She is a member in good standing with the College of Chiropodists of Ontario, as well as the Ontario Society of Chiropodists. Over the years, Brooke has gained excellent clinical experience while completing internships at the Total Foot Care – Ottawa Rehabilitation Centre clinic and several Community Health Centres. She is professional with a genuine concern for all her patients; she is dedicated to providing effective solutions for all your foot problems. Her special interests include diabetic foot care, wound care, general foot care/foot wellness, ingrown toenail care, and lower extremity biomechanics including custom-made orthotics. Your Chiropodist Brooke Mitchell takes pride in providing exceptional footcare to all ages. 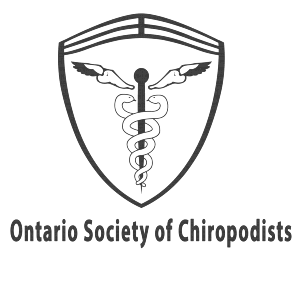 Proud member of the Ontario Society of Chiropodists.